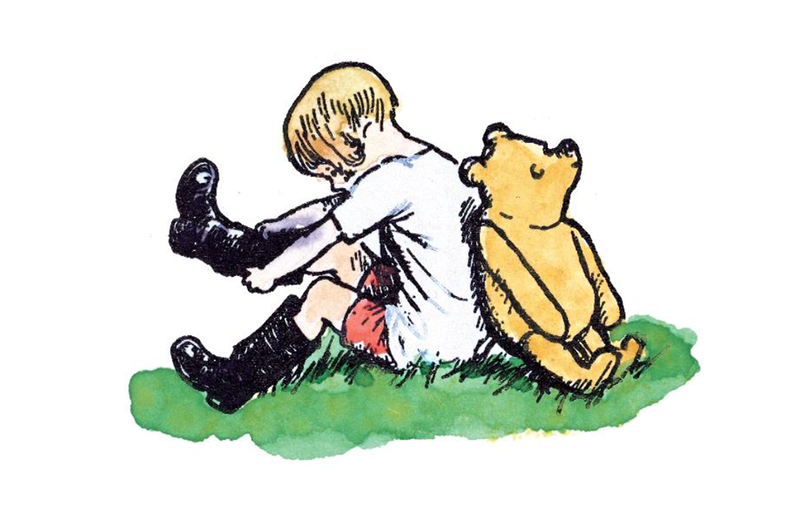 Writer A.A. Milne and illustrator E.H. Shepard created an enduring masterpiece when they released Winnie-the-Pooh in the 1920s. The stories and characters live on today, with new iterations of the tales continuing to be told through books, television, and film. Pooh’s world comes to life at a new exhibit hosted by the Museum of Fine Arts Boston. 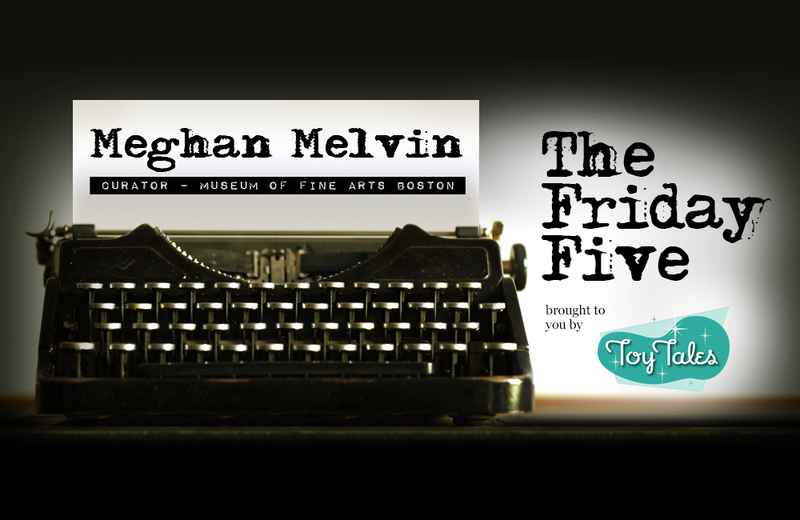 Curator Meghan Melvin weighs in here on Pooh’s universal popularity. 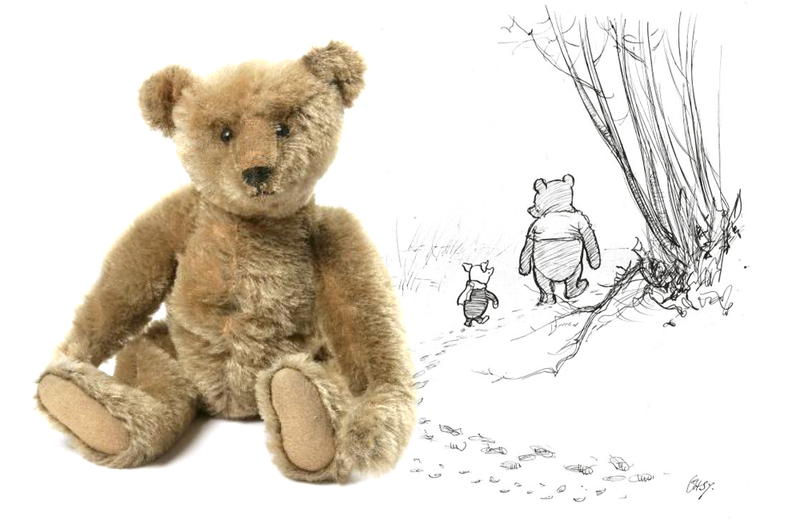 Tell us about the exhibit ‘Winnie-the-Pooh: Exploring a Classic’. 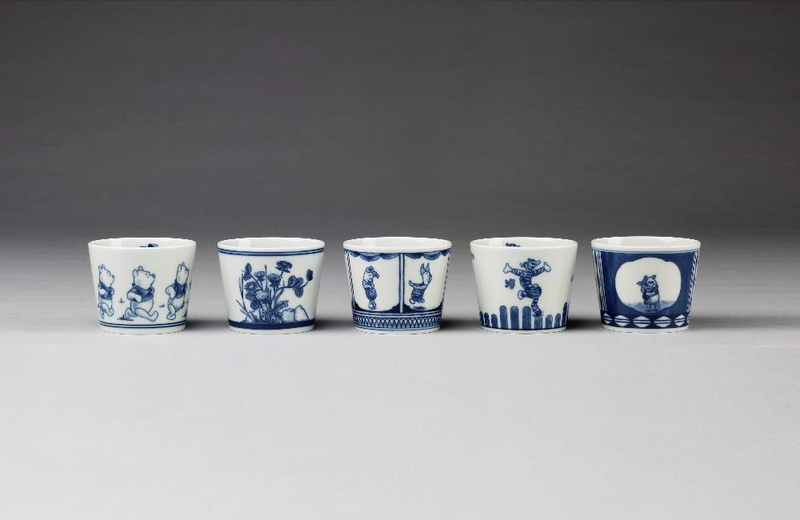 This exhibition was created by the V&A (Victoria and Albert Museum). 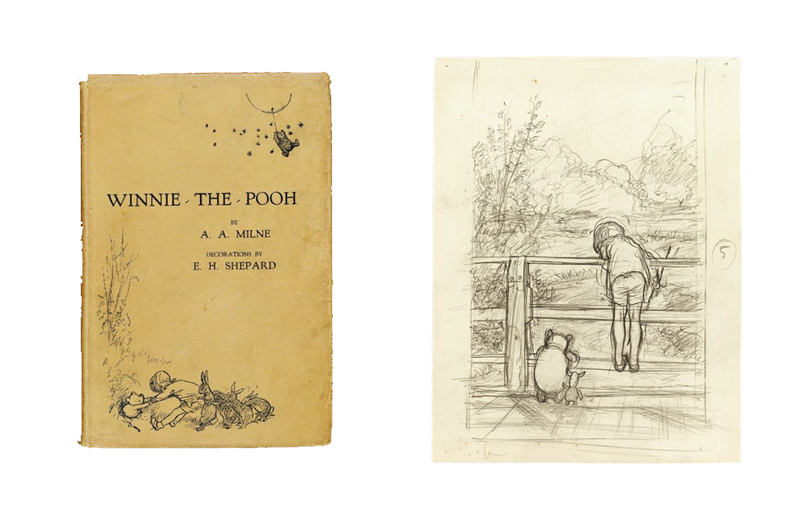 The display features many of the original drawings by E.H. Shepard from their collection, as well as books, toys, games, and other pieces from the Museum and numerous other lenders. 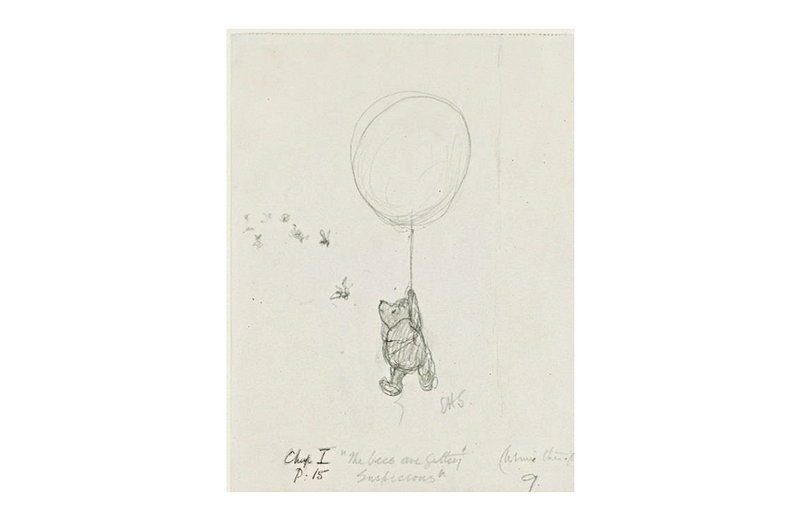 The exhibition addresses Winnie-the-Pooh as a global phenom. All around the world, people know the story and characters; Winnie-the-Pooh has been translated into over 50 languages. The exhibit sets the stage to experience the story from the 1920s to the present day through interactive elements such as Poohsticks Bridge, an opportunity to walk through the door of Pooh’s house, and space to sit in Eeyore’s house. Many of the illustrations are hung at children’s eye level so they can fully see the details. One of the rooms is set up like a child’s nursery and serves as an introduction to the Milne family. Kids can sit on a child’s bed or window seat to experience the space and read stories. The exhibit is created with the idea that visitors step into the pages of the book and it invites them to learn more about the real people and real sources of inspiration behind the stories. 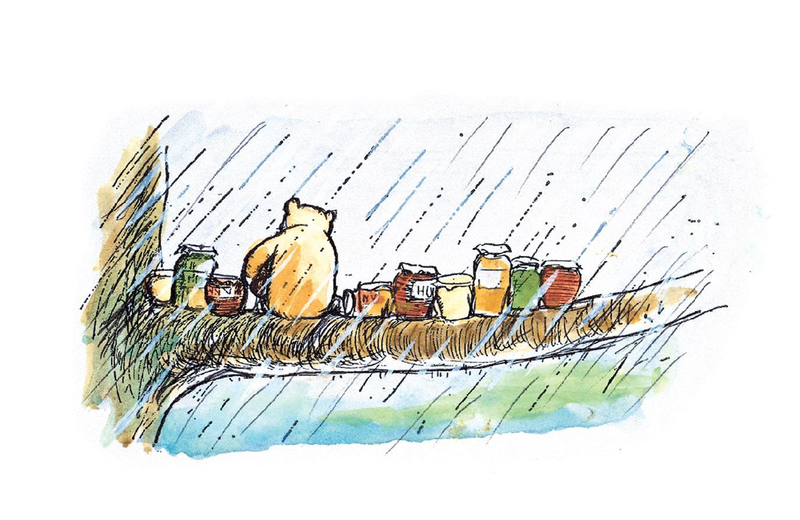 What makes the stories of Winnie-the-Pooh and friends universally appealing? The stories and characters are funny. There’s a timeless charm to them. They appeal to adults as well as children. They are multilayered, so different audiences can appreciate them equally. And, the fundamental elements of childhood play have a universal appeal. What surprised you about the stories or characters as you put together the exhibit? I love getting to know the real people and places around the story. 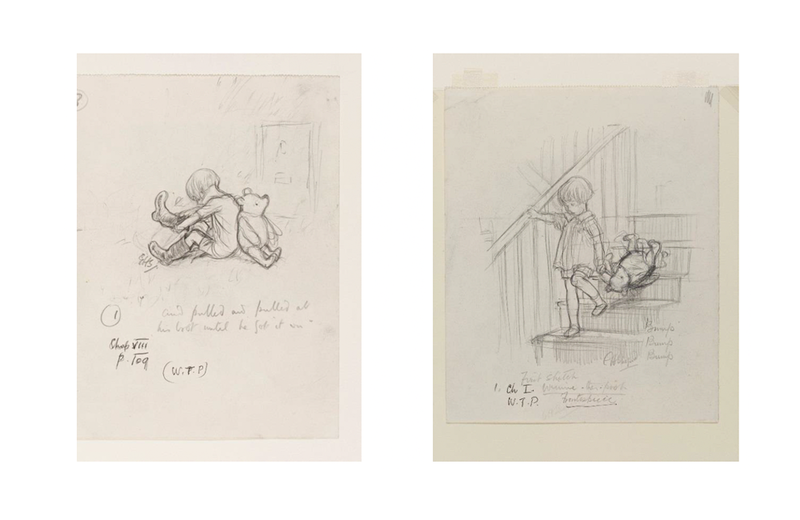 Seeing illustrator E.H. Shepard’s sketches of the forest where Christopher Robin Milne played brings the story to life in a new way. Shepard is, in many ways, the star of the show. 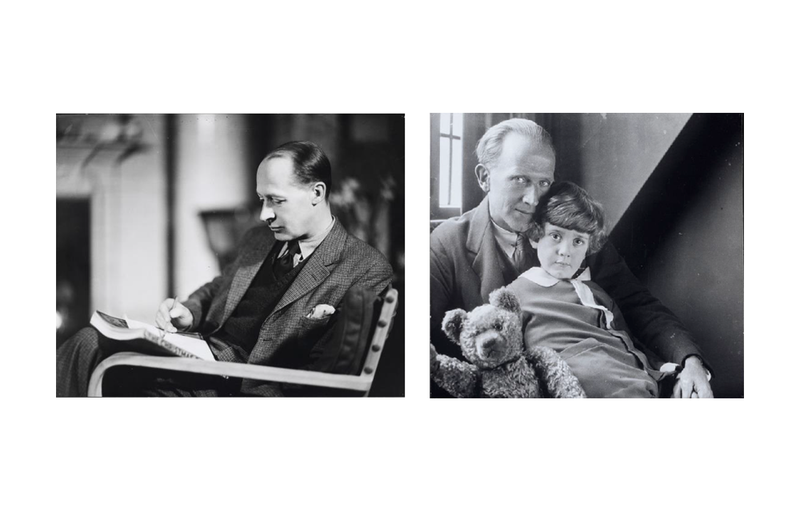 Tell us more about the creative relationship between writer A.A. Milne and illustrator E.H. Shepard. Milne and Shepard met at a satirical magazine called Punch while they both worked there. The two had a great sense of humour and respected each other’s work. They developed the world of Winnie-the-Pooh through years of correspondence. They wrote letters discussing the story, illustrations, and layout. Shepard visited Milne and his family to get a better understanding of the environment in which the story is set. The sketches serve the text-heavy book well and help to move the story along. The books appear as relatively simple, but they are carefully thought out, and reveal remarkably subtlety in both narrative and design. Milne was already a successful playwright when Winnie-the-Pooh was released. He had a gift for dialog and capturing speech, children’s fuzzy logic, and stream of consciousness. The characters are archetypes on many levels. The text is much more nuanced than Milne simply rewriting the stories he told his son Christopher. The characters in the book are an amalgam of the personal experiences of both the author and the illustrator. What do you hope visitors take away from their time at the exhibit? Children’s books are often our first introduction to art. Shepard was such a gifted artist; his illustrations hold their own in the context of a fine art museum. I hope people realize that you’re never too young to start looking at and appreciating art. Winnie-the-Pooh: Exploring a Classic runs until January 6, 2019. Visit The Museum’s website to learn more about the exhibit. Manga takes centre stage at an upcoming British Museum exhibit titled The Citi exhibition Manga マンガ. Nicole Rousmaniere, IFAC Handa Curator of Japanese Arts at the British Museum, explains the history of manga and its impact on modern-day culture.